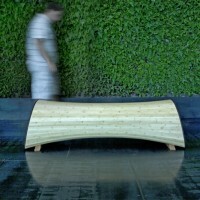 Andrew Williams and Tom Huang have created the Infinity Bench. 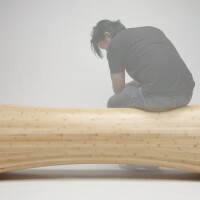 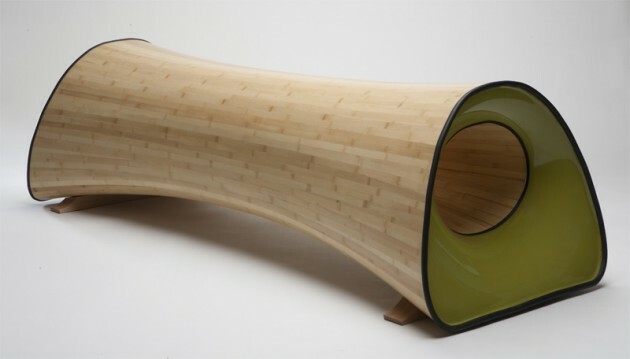 Infinity is a bench that explores the possibilities of bamboo strip construction. 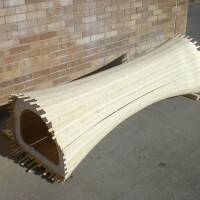 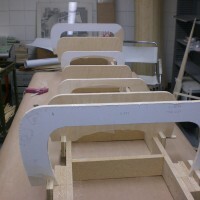 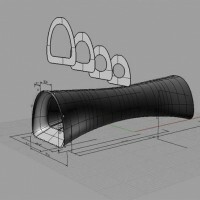 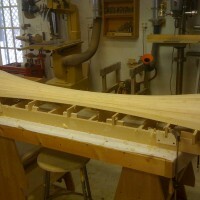 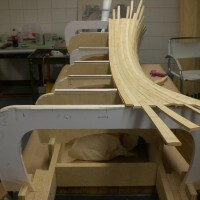 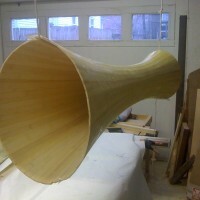 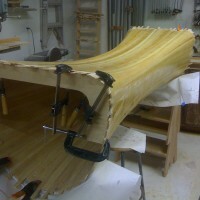 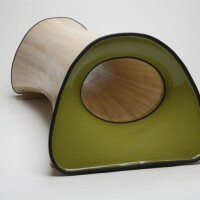 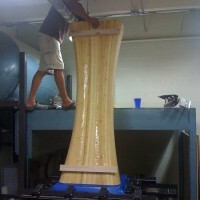 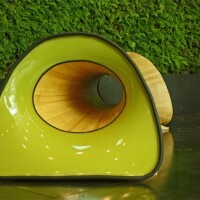 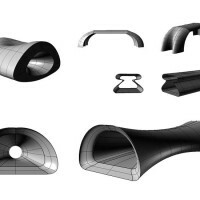 The process of designing and constructing the bench was done by Andrew Williams and Tom Huang. 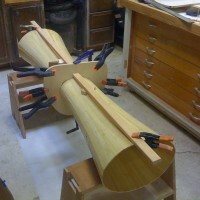 The idea came after building “The Comfort Girls”, a set of three cocktail tables built using the same techniques. 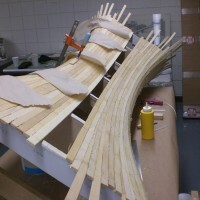 We wanted to see if the strip making process, originally used in the construction of wooden canoes, was structural enough to be implemented into a seating project. 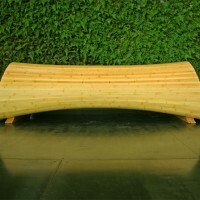 The infinity bench is designed as public seating for the lobby of a museum or gallery. 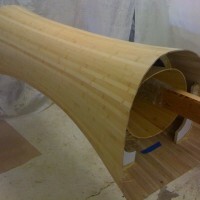 Visit Andrew Williams’ website – here. 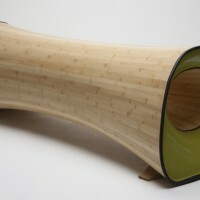 Visit Tom Huang’s website – here.